Are you struggling to figure out how to find prospects for network marketing? That is biggest question on every network marketers mind. Who do I know? If you believe you don’t know a lot of people, you may think that building a network marketing home business is a pipe dream. Today I have some crucial prospecting tips for network marketing that will change the way you look at this. Not only that, you’ll have a growing list of prospects for your business. When you think about how to find prospects for network marketing, it can seem a little overwhelming. That’s why you need a solid plan and expectations. 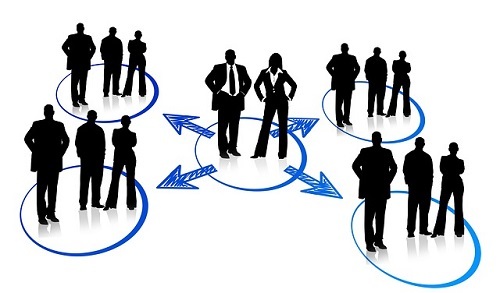 You can find multi level marketing leads just about anywhere. However you should understand that the majority of people who join your business, either won’t do anything or won’t do much. That is exactly why having a constant flow of leads for network marketing is your best strategy. Network marketing professional follow a step-by-step plan to continually grow their list. Make a list. I know you ‘ve heard this before, nothing new right? Your list should include everyone. Don’t judge. Maybe you are thinking, “this person would never want to join my business.” Although you are tempted to exclude them from your list, don’t! Put everyone on your list. This is your first step in how to find leads for network marketing. As you write your list, you will start seeing a larger network of people. For example, if you write down your friend, you’ll see the network of those around your friend. Now your list is growing by association! Now you can start getting into the circles that surround the people on your list. This is one of the best prospecting tips for network marketing. Think about the people on your list and now consider who they know. Add those people to your list! Make a goal to add at least two new people to your list every day. This is a basic skill that will help you with MLM sponsoring in the long run. You may not talk to that new person today about your business, but just find a nice way to stay in touch. If you add 2 new people a day to your list, in one year, you’ll have a list of 624 people. Not bad! Start building relationships with people. Over time, you’ll know when the time is right to help them see the value of your offer. Get out into the world and meet people on purpose! If you hide in your home, you’ll never meet anyone! Join a volunteer group. Go on hikes. Start a new hobby. Join a gym. There are endless numbers of new people in whatever you decide to out and do. Have fun! Learning how to find prospects for network marketing can be a fun adventure! Think of all the new people you can meet. And don’t forget, that you have the ability to transform the lives of others in a positive way! 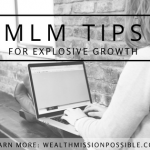 If you are still struggling with finding quality leads for network marketing, click here to learn how th 6-figure earners do it! So nice to hear from you. I loved the post on list building. We can never have enough people on our list and that is exactly what I am doing, building my list through blog commenting and It is working. I post on five posts each day, getting myself known by others. I love your idea to get ourselves out there and meet new people in a group situation using hobbies and other types of groups. I am using a lot of different social sites too. I’m meeting a lot of people that way. Thank you for sharing, Lisa and you have a wonderful day and week ahead! I always appreciate you stopping by the blog! So glad you are building your list, as you point out, it’s the most important thing we can do. Blog commenting is such a powerful yet underutilized way to get traffic to the website! Have an amazing week. talk soon. I like your ideas of taking multi level marketing in little chunks. It is definitely more manageable to try to add two new people to the list everyday than trying to compile one in a day. 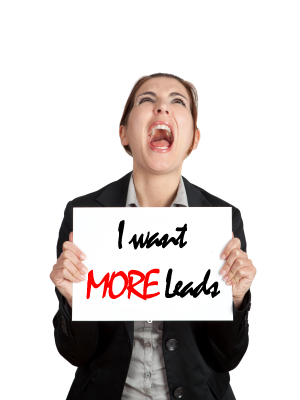 It seems like it would be helping to also try to buy some leads just to get started if you are stuck! It’s very useful and already tried it on the real world. Adding people in bulk makes it more time consuming and results to more mistakes rather than adding them by two’s. I also tried buying leads just to kickstart my business.